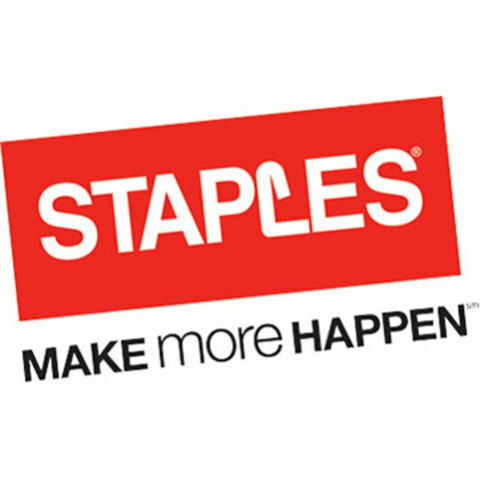 "We’re excited about the capabilities that Apple Pay offers our customers"
FRAMINGHAM, Mass.--(BUSINESS WIRE)--Staples, one of the world’s largest internet retailers, is excited to announce its Staples App for iPhone now supports Apple Pay®. Now iPhone 6® and iPhone 6 Plus® users can conveniently make purchases from within the Staples app using Touch ID, eliminating the need to fill out forms or enter in a credit card number. 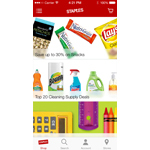 The updated Staples App with Apple Pay is available now as a free download from the App Store. 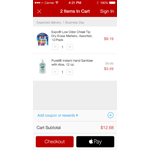 Staples also announced that customers will soon be able to use Apple Pay at Staples stores across the U.S., making it easy to securely and privately pay for purchases from their iPhone 6, iPhone 6 Plus and Apple Watch®, upon availability. The in-store roll-out is expected within a few weeks. 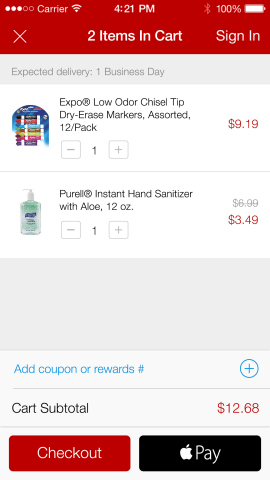 As noted by Apple, security and privacy is at the core of Apple Pay. When customers add a credit or debit card with Apple Pay, the card numbers are not stored on the device or on Apple servers. Instead, a unique Device Account Number is assigned, encrypted and securely stored in the Secure Element on the device. Each transaction is authorized with a one-time unique dynamic security code, instead of using the security code from the back of the card. Staples is an authorized reseller of iPhone, iPad® and accessories. 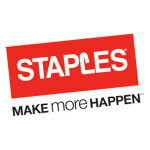 Staples also offers free shipping for Staples Rewards members, up to five percent back in Staples Rewards when purchasing technology products, the ability to either buy online and pick-up in store or buy online and ship to store for pick-up, and a price match guarantee. 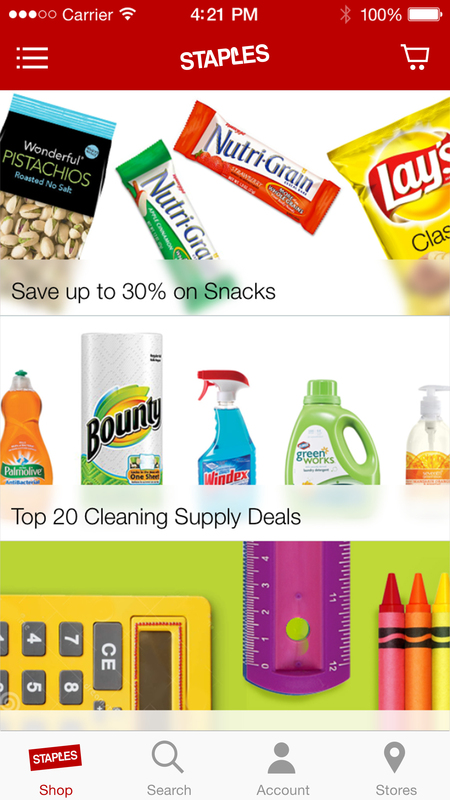 The Staples App is available for free from the App Store on iPhone and iPod touch or at www.AppStore.com/Staples. ®Apple Pay, iPhone 6, iPhone 6 Plus, Apple Watch and iPad are registered trademarks of Apple Inc.